What does the future hold for Black Chess? When one looks at the current state of affairs of chess among people of the African diaspora, there are some very positive trends. Despite this trend, there appears to be a shortage of young Black masters developing as it were in the 70s and 80s. In the U.S., much of this activity was attributed to the "Fischer Boom." Who was the last Black player to make National Master in your country? In the U.S. there has been a long drought. One problem is the retention of players and a lack of a network to keep players tuned in and motivated. Some players across the chess world are so isolated and find few opportunities to play in competitive environments. They give up. How many of you have felt isolated? As one notices the remarkable successes of Tiger Woods in golf, and the Williams sisters (Venus and Serena) in tennis, they have spurred a revolution that has created a entire contingent of up-and-coming teenagers in both of these sports. Of course GM Maurice Ashley has done so much to inspire young players in the U.S. as a coach and player. The question is, what type of collective efforts are we making to groom players for the future? In the past, GM Ashley has encouraged Black players not to think of titles as the loftiest of goals in chess, but think in terms of winning the World Championship. What is happening to achieve this? In South Africa, IM Watu Kobese runs a school where all 1,000 of the students are taught the principles of chess. Out of this number, at least 100 talented players will have the ambition to seek higher heights in chess. Countries like Uganda, Jamaica, Nigeria and the Bahamas have instituted similar programs. Barbados has produced a contingent of talented players as well. There are many initiatives in the U.S. including the "Chess-in-the-Schools" program which is increasing in popularity every year. 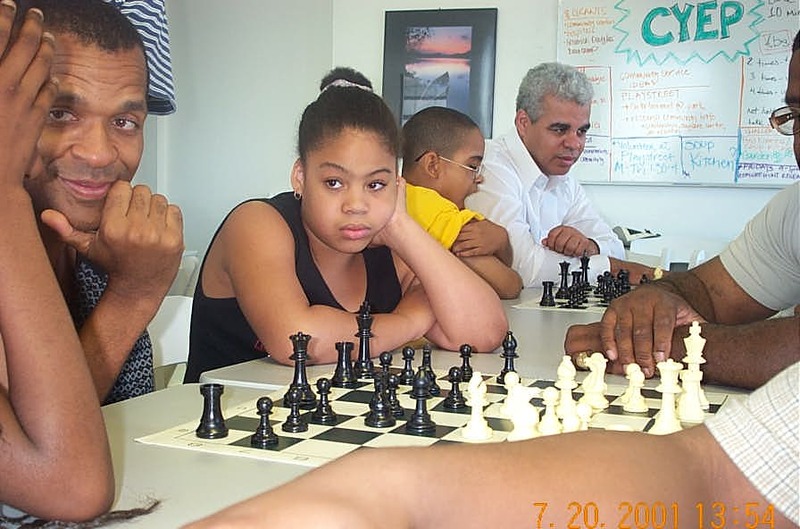 NM Alfred Carlin has run a chess academy in New Orleans for many years and has produced outstanding talent. 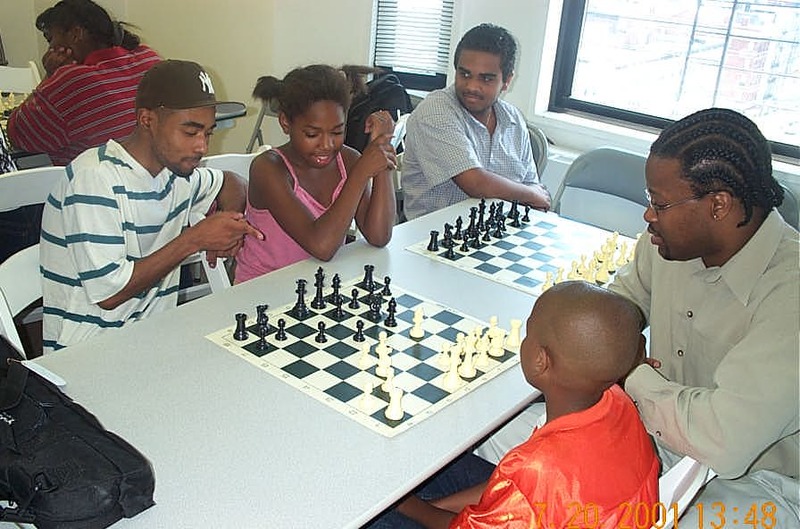 NM Bernard Parham has his "Chess Matrix" program, and of course there is GM Ashley's Harlem Chess Academy. These initiatives are providing a wonderful service for the future generation of chess players. However, there is a need to move to the next level and begin integrating some of these efforts. There are a number of independent trainers and coaches around the world from which a pool of knowledge can be drawn. Any brother or sister (whether a Master or not) can make a contribution. In the coming months, The Chess Drum will begin collecting information from players around to world in an effort to provide a resource for useful tips and advice. That way young players can access this information and interact with the larger chess community. 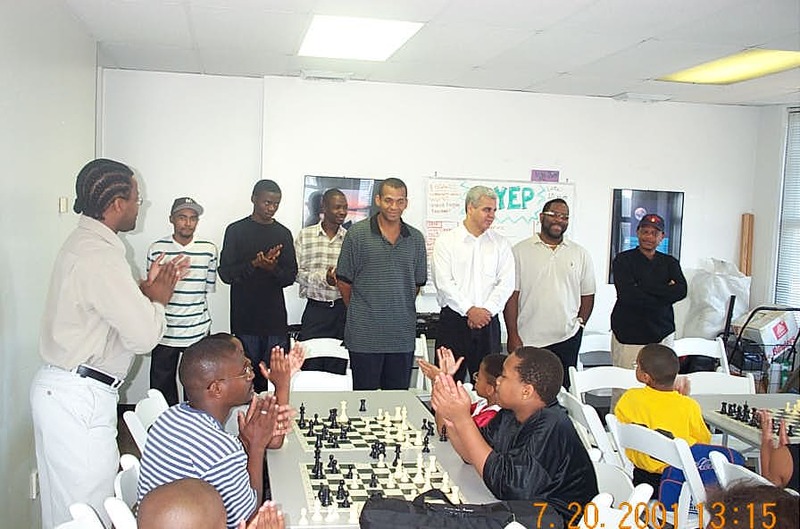 The future of chess in the worldwide Black community will depend on those of us who are able to pass on the knowledge and passion that we have developed for chess. PASSING ON A LEGACY: Participants of the historic Wilbert Paige Memorial tournament visit with the students at the Harlem Chess Academy.